He describes growing up Catholic in Freehold, New Jersey, amid the poetry, danger, and darkness that fueled his imagination. He vividly recounts his relentless drive to become a musician, his early days as a bar band king in Asbury Park, and the rise of the E Street Band. Born to Run will be revelatory for anyone who has ever enjoyed Springsteen, but this book is much more than a legendary rock star's memoir. This is a book for workers and dreamers, parents and children, lovers and loners, artists, freaks, or anyone who has ever wanted to be baptized in the holy river of rock and roll. Rarely has a performer told his own story with such force and sweep. Like many of his songs, Springsteen's autobiography is written with the lyricism of a singular songwriter and the wisdom of a man who has thought deeply about his experiences. Born to Run is available now wherever books are sold. Chapter and Verse, a collection of 18 songs chosen by Springsteen that trace his musical history from its earliest days, telling a story that parallels the one in the book is also available now. 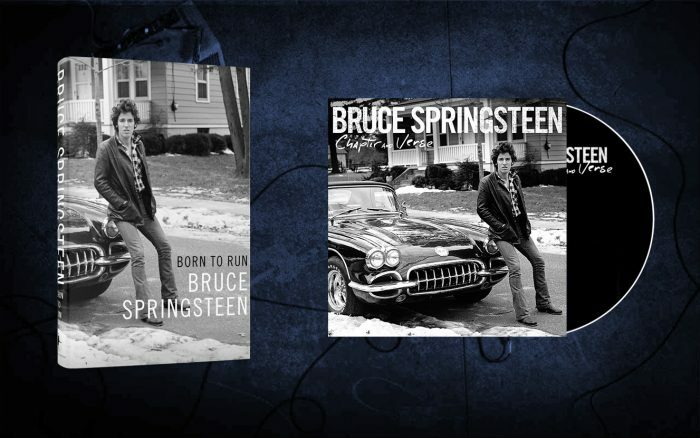 The album includes five previously unreleased tracks including two tracks from The Castiles, featuring a teenaged Springsteen on guitar and vocals.